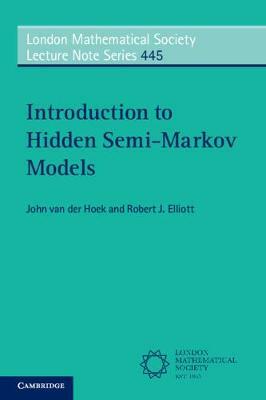 Author(s) van der Hoek, John; Elliott, Robert J.
Markov chains and hidden Markov chains have applications in many areas of engineering and genomics. This book provides a basic introduction to the subject by first developing the theory of Markov processes in an elementary discrete time, finite state framework suitable for senior undergraduates and graduates. The authors then introduce semi-Markov chains and hidden semi-Markov chains, before developing related estimation and filtering results. Genomics applications are modelled by discrete observations of these hidden semi-Markov chains. This book contains new results and previously unpublished material not available elsewhere. The approach is rigorous and focused on applications.